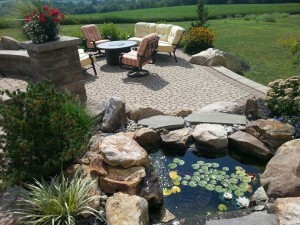 We specialize in both hardscape and landscape design to bring your visions of outdoor living spaces to a reality. With over three decades of experience, we provide our services from the drawing board to physically installing hardscape and landscape elements. We design and build everything from paver patios to walkways, fire pits and more. That’s how we can fulfill your dreams of having the perfect outdoor space for your home. If you want to work with a hardscaping company who is passionate about the work we do, and guarantees your complete satisfaction, call Artistic Hardscapes today. So choose us to work on your project from the very beginning and see it through to completion. Call us today for a free estimate and an initial consultation to get started.